Use a non reactive container like glass or plastic for storing the soaked fruits. Don't use stainless steel or metal containers, as they will react with alcohol. Take dry fruits in a glass or plastic container, add rum till they are completely covered and let it soak for at least one month. Place it in a cool dark place. Keep mixing it in regular intervals. If you don't have time to soak for one month, you can soak for 2-3 days. But soaking for longer time, builds more flavor. Preheat the oven to 325 F/ 170 C/ 150 Fan / Gas mark 3. Prepare the cake pan by lining with parchment paper. I used a 10" round spring form pan. Beat butter till it is light, gradually add muscavodo sugar and continue to beat well. Then add eggs one by one and beat till it is light and fluffy. Then add vanilla extract and honey and beat well. In another bowl, sift together all purpose flour, baking powder, salt, ground cinnamon, ground ginger, ground nutmeg, ground cloves. Now drain the excess rum and add only the soaked dry fruits to the batter, mix well. The excess rum can be used for feeding the cake. Now add the chopped nuts and mix such that they are evenly distributed in the batter. Pour the batter in the prepared cake pan and bake for 50- 55 minutes till the cake is done. Let the cake cool for few minutes, then remove from the pan and let it is cool completely. Then baste the baked cake with rum and then cover and store the cake in a cool dark place. 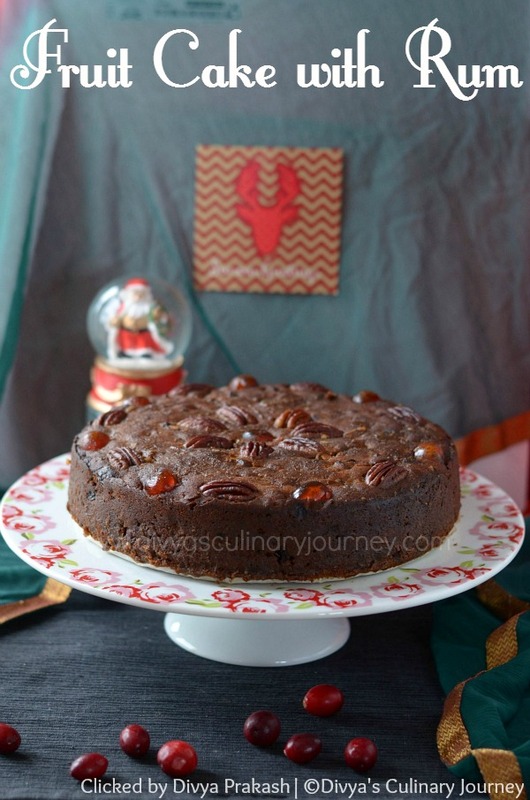 The cake has to be fed at a regular interval of 2-3 days with rum to let it mature till it is ready to serve. I covered the cake with 2 layers of parchment paper and then covered with silver foil. A cheese cloth can also be used to cover the cake. Brush the cake with just enough rum that the cake can absorb and not so much that makes the cake so wet and gooey. The more the cake matures, the more the flavor will be. The alcohol will cut down the sweetness of the cake. If you are planning to cover the cake with frosting/ icing, then stop the feeding before 2-3 days. So the outer of the cake stays dry to hold the frosting. I have used rum for soaking the fruits. You can use wine, sherry or brandy too. 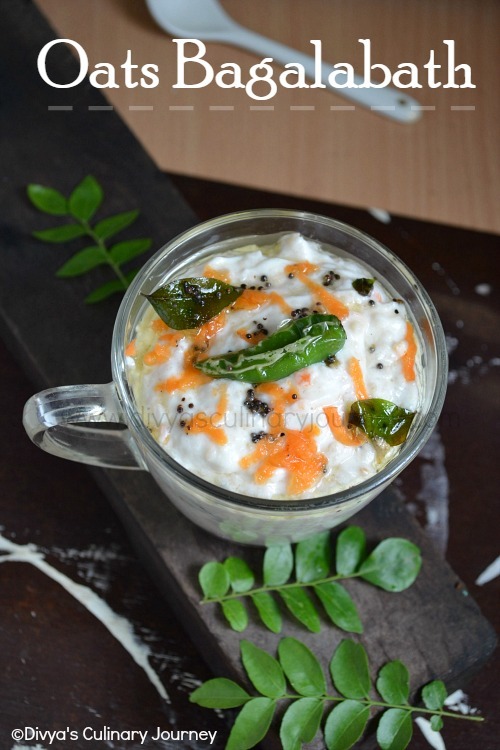 If you prefer the non alcoholic version, you can used apple juice / orange juice for soaking the dry fruits. But this cannot soak for long in room temperature. If soaking in fruit juice, you can soak up to 2 days, but keep it refrigerated. I have used dark muscovado sugar. If you cannot get this, you can used dark brown sugar. This dark muscovado sugar has a molasses flavor and it gives a beautiful color and flavor to the cake, so I did not prepare caramel syrup. I have used honey instead of which you can use molasses syrup or treacle. I used a 10" spring form pan, you can use other pan of your preference too. Adjust baking time accordingly. You can cover the cake with silver foil to avoid it getting burnt at the top. yummy tasty good flavoured cake, super clicks dear !!! Cake looks really moist. Love the look of the cake too. Such a delicious lookiing fruit cake. Merry Christmas. 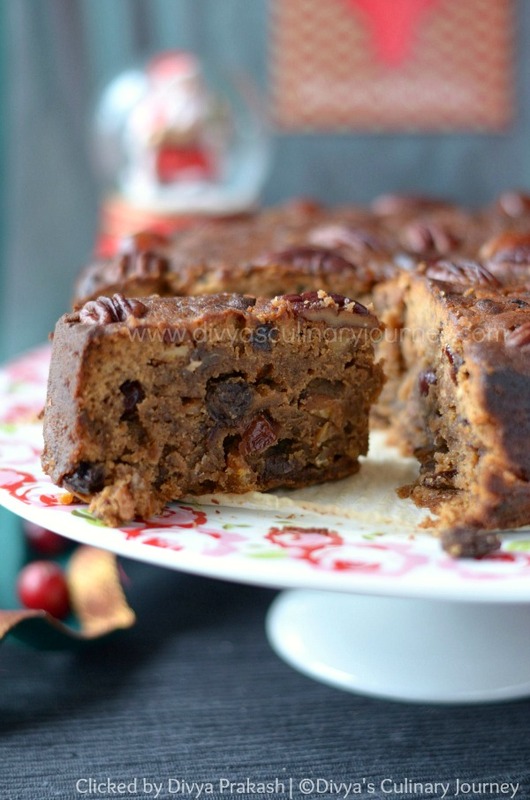 Such a beautiful christmas cake, love this old fashioned traditional fruit cake. 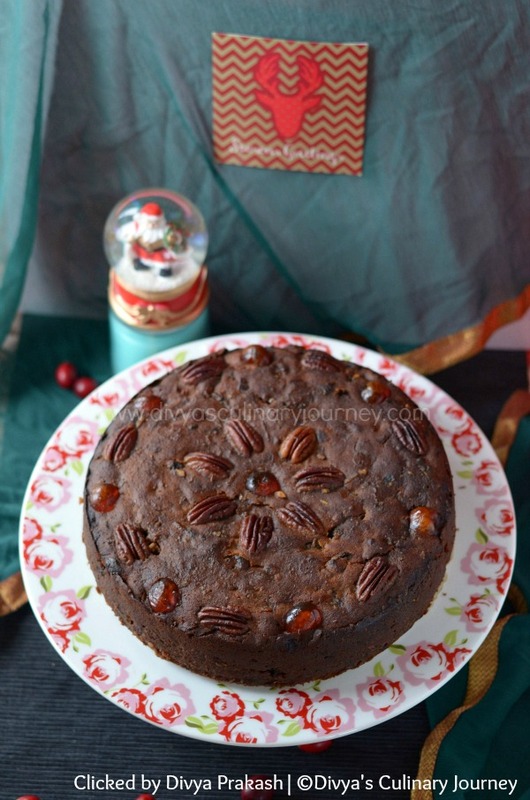 Such a rich and moist looking cake,lovely clicks.. This cake is so rich and moist and tasty looking. And your pics make it more droolworthy! The cake looks fabulous.Very nicely clicked. 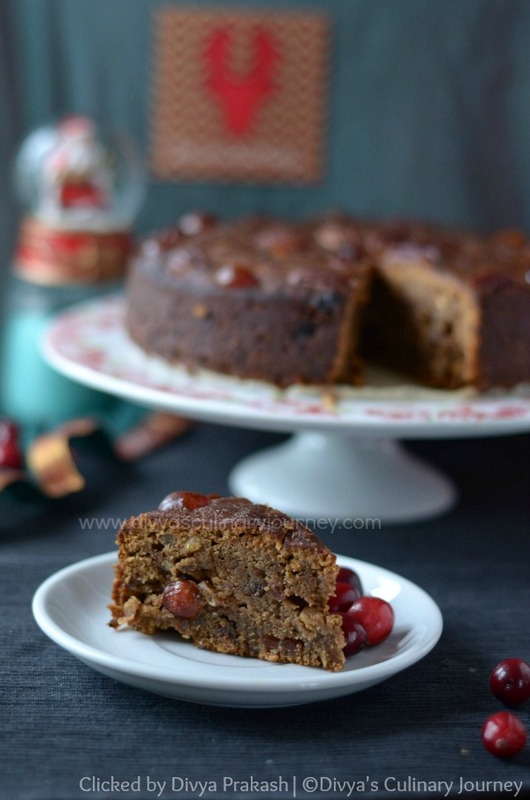 What a flavorful and rich fruit cake. Looks so moist and tasty. Lovely cake Divya!...I have made something similar years back..good one..